Go Ahead! Send Me To The Dog House! 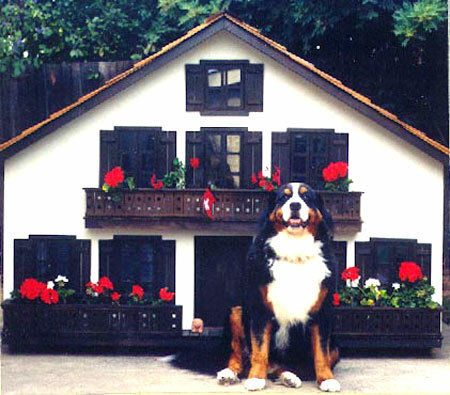 Yes, you can design a Swiss chalet for your St. Bernard and have it built to your specifications. Your dog or cat can have his own house, excuse me, his own Pet Mansion, that's the spitting image of your home. 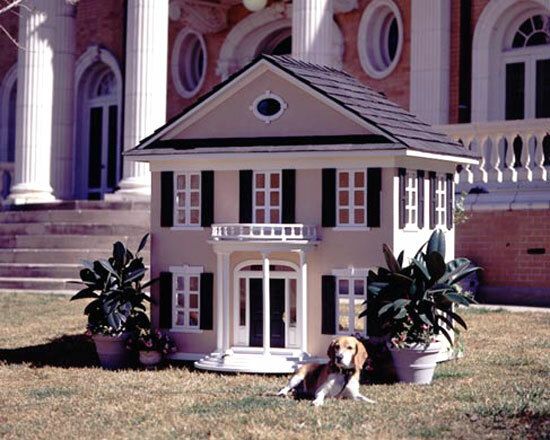 The only thing is... no sub-prime mortgages on the Pet Mansions. But, if you've got the money ($2,500 to $25,000 roughly), Opulent Items has a builder who has the time (about 12 weeks). As I understand it, there's nothing your dog or cat can't have customized. 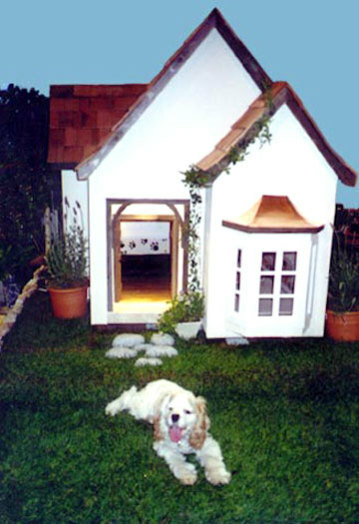 Here are a few more model dog houses; excuse me, model Pet Mansions. The interior... is that the living room?.. has the distinct markings of an doggy decorator. Not bad! Hardwood floors, doggy wallpaper, eye-level and hind-legs-stand-up windows... Ooh that bed... "Come into my mansion, Molly, I've got a bear rug to show you!" No doubt about it. The Pet Mansions are opulent; coincidentally, they're available from Opulent Items. Photos, by permission, from Opulent Items.